PETA's Green Beauties protest at 15th and Market streets in Center City in March 2016 to promote a "Go Green: Go Vegan" campaign. This question was presented to me as I sat out on the deck at Billy Murphy’s Irish Saloonery for dinner on an unseasonably warm Friday. I was noshing on chili nachos in front of a vegan or vegetarian or whatever the proper nomenclature is these days. The discussion moved toward a later-night party where food would be provided, and those who refuse to eat meat make catering such events more difficult. I was a couple Daisy Cutters deep, so I mentioned how people who eat meat are the real American heroes and those who do not should be deported or something like that. That second part was a bit of an exaggeration. Far be it from me to begrudge my fellow Americans' culinary choices. It's tacky to shame people by those standards, particularly because hamburgers and steaks and other meat stuffs are so delicious. For me, eating meat is the right thing to do because our cave-people ancestors did so for survival and Vitamin B12, protein, iron and Omega-3 are good. Caesar salads are fine, sure, but Caesar salads with blackened chicken are even finer. This is a definitive take. @BrianPHickey I eat meat because it is delicious. Sorry, cows. The science of comparing paleo vs. vegan is inexact as well (see here, here, here, here and here). It is folly to attempt to answer why people do or don't eat meat and do or don't go vegan. Our choices are our own, and the same goes for our taste buds and metabolisms. While PETA's whole holier-than-thou mentality makes cheesesteaks taste better, we shouldn't broad-brush all vegetarians with that condescending paint. I reached out to some locals to offer their side of the story, too. Nothing I heard changed my opinion on dietary intake, but the world is a marketplace of ideas and all should be allowed to air their views. My co-worker, Elisa, explained that her path to being a vegetarian was about health. "In college, I got interested in wellness, started practicing yoga, and just being really aware of what I was putting into my body," she said. "Then, I read The China Study while I was a back-seat passenger on a long drive to North Carolina and decided on that trip that I was done with meat." That was six years ago, and she's not about to turn back now, even if the occasional burger scent makes it difficult. I respect that (especially because she told me she'll even cook meat for her husband). In summary, eating meat is good even when a human orders his steak well-done and slathers ketchup atop it. But if it's not for you, don't eat it. Your reasons are your reasons, and if you're a vegan, that just means there's more Porterhouse for me. Which rules. Just lay off with the lecturing. It's unbecoming. Bob angrily responded to last week’s “Ask Hickey” question regarding safety (or lack thereof) while driving, bicycling, jogging or walking on or near Kelly Drive. Specifically, he was referred to a hyperlinked story therein that detailed my use of a radar gun on area roadways to get a sense of how fast cars were going there. 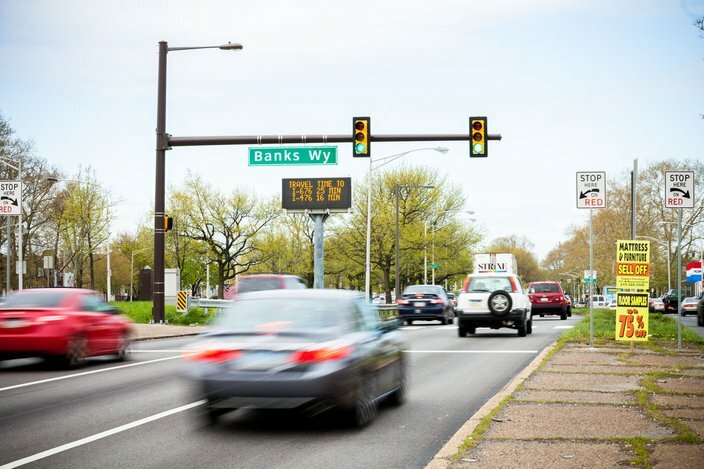 Roosevelt Boulevard is one of the city's most dangerous thoroughfares. On Friday, the House Transportation Committee heard testimony about the potential use of speed cameras along the roadway. He’s right about one thing: I’m NOT a trained cop. My official title here at PhillyVoice is staff writer. Where he was wrong was defaming the good name of the Mody Company rental (described thusly: “These are Professional units. Not cheap dept. store toys”) and an adult’s ability to track a single car with said unit and share the reading with an associate diligently taking notes. In tracking several hundred cars, since local police aren't legally empowered to do themselves in Pennsylvania, I’m confident that the collective readings overcome any minor glitches, particularly when coupled with the fact that someone who’s been driving since 1990 has a general sense of when a car quickly goes by. Listen, I get it: People like to drive really fast. That’s the American way. But, Bob, you really shouldn’t pretend that people can’t recognize when a car’s speeding when it’s as obvious as declaring when the sun is shining. If you really want to make a difference in the world, ponder your vehicular privilege and admit that even when good people drive irresponsibly, bad things can unintentionally happen. As it stands, you strike me as the kind of person who yells at opposing Little League coaches who claim their ace can throw a ball 60 miles per hour when you just KNOW they can’t top 58. Thanks for reading my column about transgender bathrooms and sanctuary cities last week, Terry. 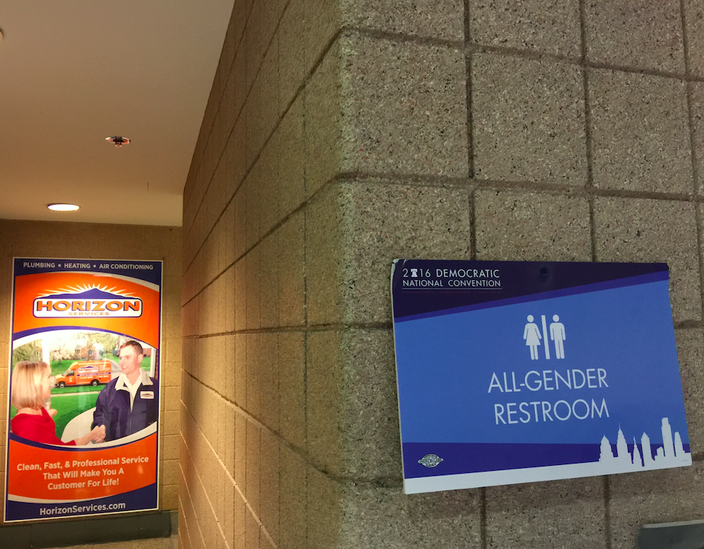 For the Democratic National Convention, there are restrooms for men, for women and for all genders. I’m not sure I follow your logic, but I’ll attempt to address your questions anyhow, for I’m not afraid of debating, picking sides or getting discussions going. Empowering marginalized communities to speak their minds and seek equality is both morally sound and normal. I hope you’re not saying transgender and gay Americans are immoral freaks, because that’s exactly how your questions read. If you are saying that, shame on you. What I know full well is that much of the pushback we’re seeing today comes from people who don’t like to see their world changing in a fashion that accepts everyone instead of merely pining for a '50s-era white-washing that will never, ever come back. Let people pee and poo in whichever bathroom they feel most comfortable doing so, Terry. It’s the moral thing to do, unlike, say, being a grown man who allegedly walked into ladies dressing rooms to get an eyeful of flesh.